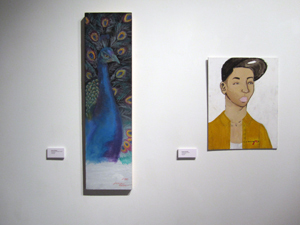 Click here for images from the opening reception. 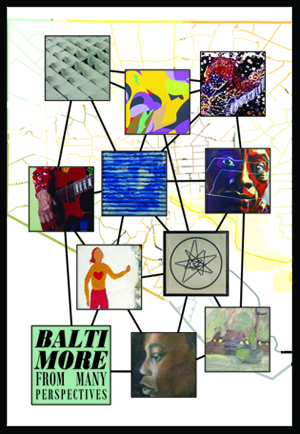 Baltimore From Many Perspectives is an exhibition featuring nine interconnected artists in collaboration with young artists and dancers from ConneXions School for the Arts. In this exhibition each artist chosen to participate was a part of selecting the other artists. The task, invite an artist that you are connected to, but also different from. 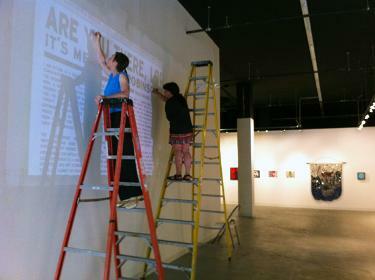 The exhibition grew organically from there to include artists of many backgrounds and various mediums. Special thanks to D center Baltimore for hosting and to all the organizations and individuals that helped to make it happen. 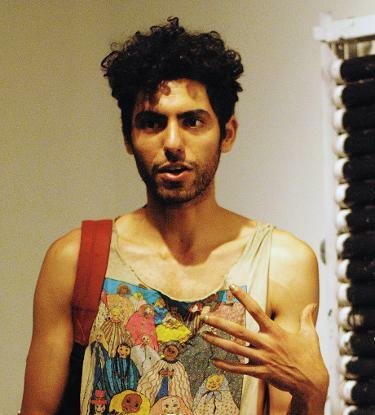 Person Ablach (born Peter Ebeid-Attalla, Cairo, Egypt, 1987) is an artist director and performance-activist living in Baltimore. Their personal practice is and has consistently been moving in a direction of disfiguring mediums through an innate understanding of intersections of phenomenological processes. In dimensions which are social or personal, optical, mechanical or electro-acoustic, Person's work seeks to undermine the fundamental precepts that guide our unconscious experience of a shared material world. Since 2011 they have exhibited work in the Whole Gallery, 5th-Dimension, Current Gallery the Emerge at festival in DC and BMA, and in 2008 was co-founder of the Copy Cat Theater and is co-director of a number of ongoing immersive theater productions. MVI 1274 from Sarah McCann on Vimeo. Robert Bilek has had an on-again/off-again relationship with clay for almost two decades. The constant flirting matured into a committed relationship while a student at the Maryland Institute College or Art. The familiarity of clay coupled with its perpetual challenges were the right mix to keep him interested and push him forward, and gave a confidence to his artistic voice he hadn’t been able to find elsewhere. 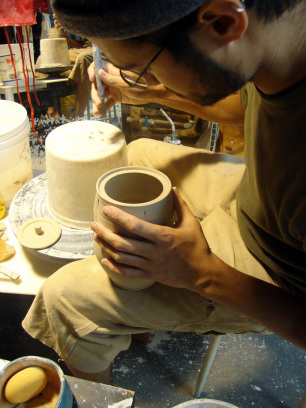 Baltimore has been his home for more than 10 years, working as a ceramic artist, video game developer, and project collector. 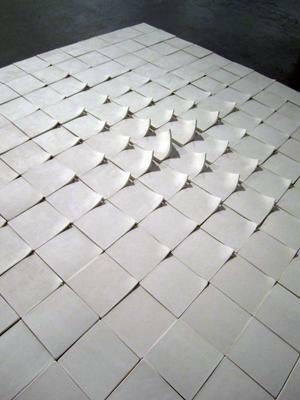 John Bohl was born in 1983 in New York. He graduated with a BFA in painting from the Maryland Institute College of Art and currently lives and works in Baltimore. John uses painting and sculpture as a platform to examine utopia, kitsch, and romanticism. Recent exhibitions include "Baltimore Liste" (Contemporary Museum, Baltimore), "Strange Grip" (Nudashank, Baltimore), and "B.C. 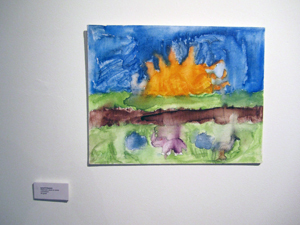 #2" (Mexico Gallery/Beach Gallery, UK). John also recently put out the book "Space Jam" published by Medium Rare. 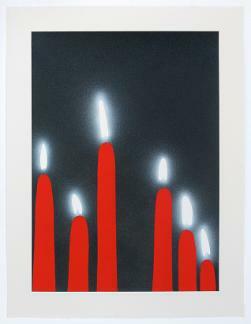 He is currently working on a print series with W / Projects (NY). Colin Campbell is a painter, illustrator, and video game designer from Athens, Georgia. A 2004 graduate of the Maryland Institute College of Art, Campbell was the on-screen illustrator for the PBS series on Archaeology, Time Team America. In 2005, he was a co-grantee of the National Science Foundation's Artists and Writers Program, spending three months living and painting in Antarctica. 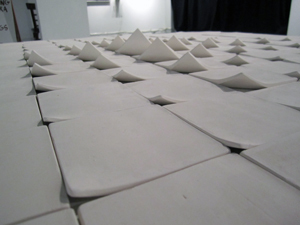 Having exhibited both nationally and internationally, Campbell often speaks to groups about working in Antarctica, being a game designer, and working as an artist alongside scientists. 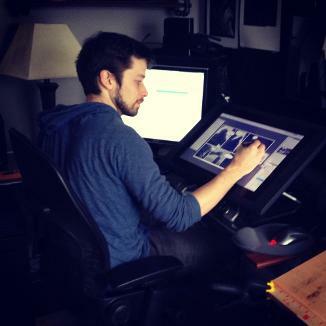 In 2012, Campbell launched the webcomicCircus Saudade, for which he is the author and illustrator. Having called Baltimore his home from 2000 to 2013, Campbell recently accepted the position of Lead Level Designer at the video game studio Bioware and has moved to Montreal with his wife. Jenny Graf is a sound, video and performance artist who explores peripheral places and states through composition, improvisation and participatory works. In Graf’s music and art she invokes immersion and rupture to explore changing perceptions of diegesis and space, formal choices rooted in a deep interest in social roles and behaviors. With a focus on perception and ways of relating, her work brings to the fore such issues of power dynamics, gender, age and other concrete social issues. 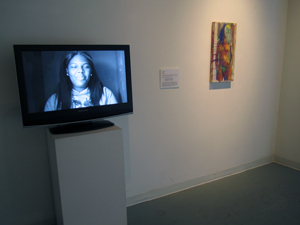 Graf’s work has performed and screened work at venues such as The Stone, PS 1, Issue Project Room, D’Amelio Terras Gallery in New York, High Zero Festival, Carrie Secrest and Vedanta Galleries in Chicago, The Museum of Contemporary Art in Chicago, Maryland Film Festival, Brown’s Granoff Center for the Arts, Mukha Museum in Antwerp, CCA in Glasgow, Arnolfi in Bristol, MOFFOM Festival In Prague, Ladies Fest in Copenhagen, and the Director’s Lounge in Berlin. Her work has been funded by the Chicago Arts Council, High Zero Foundation, Experimental Sound Studio in Chicago and the Fridge in D.C and her recordings appear on labels such as Atavistic, Ehse, BoxMedia, Load, Wachsender Prozess, Hanson, No Fun, Utech and 5rc. She has collaborated with MV Carbon, Carolos Giffoni, Smegma, Marcia Bassett, Susan Alcorn, Chris Corsano, Bill Nace, Evan Parker, C. Spencer Yeh, John Wiese, Stephanie Barber, Chiara Giovando, Azita Youseffi and Ami Dang. Her projects with those with Alzheimer’s has been featured in the documentary I Remember Better When I Paint which has screened in festivals throughout Europe and the U.S.
Paula Phillips is a practicing community and studio artist and faculty of Maryland Institute College of Art who has served as director of the Community Arts Partnerships program and teaches full-time in the MFA and MA in Community Arts programs. 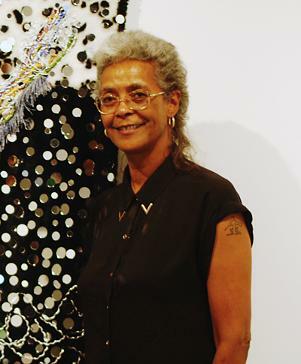 She also teaches undergraduate community-based courses in MICA’s Foundation and Painting Departments; was the 2007 recipient of MICA’s Distinguished Service Award; and has received a certificate of recognition from the Maryland State Department of Education for curriculum development of summer programs for Baltimore City children, youth and teens. 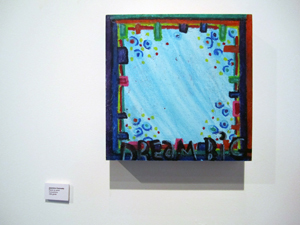 Phillips is an educator and community advocate who specializes in mixed-media paintings of various mediums that embrace spirituality and principles of social justice issues. Her artwork, which reflects her European, African and Native American roots, has been shown widely in the Baltimore-Washington area. A former art teacher at Suitland High School, she also has taught at Anne Arundel Community College, served as Senior Director of the city-wide summer program “SuperKids” Camp, and been an arts consultant and facilitator to various institutions and community organizations including Johns Hopkins University’s Center for Summer Learning, The Baltimore Museum of Art, The After School Institute, The Child First Authority, Baltimore City Career Academy, Bright Starts, and the Amazing Port Street Project. 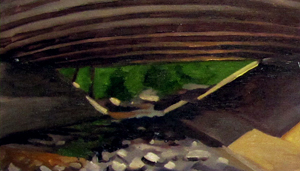 She earned her BA through Texas Wesleyan University and her MFA through MICA’s Hoffberger School of Painting. 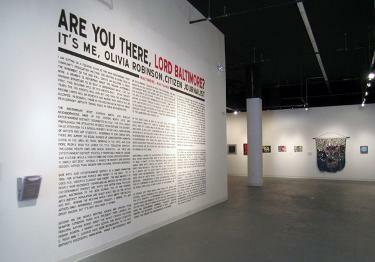 Olivia Robinson is a multimedia artist whose work spans performance, installation, research, and community engagement. Robinson’s diverse body of work, which ranges in scale from hand-built textile circuits to architectural-scale inflatable structures, investigates issues of justice, identity, community, and transformation. 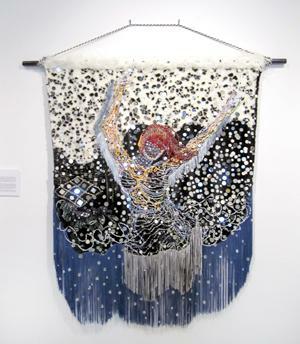 She has received awards and honors from the National Endowment for the Arts, the New York State Council on the Arts, the Franklin Furnace Fund, the Harpo Foundation, the New York Foundation for the Arts, Sculpture Space, and the Center for Land Use Interpretation. 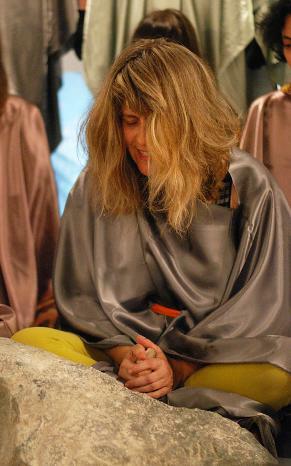 Her work has been recognized in books, journals, and CD/DVD releases and has been presented at internationally recognized venues including the Baltimore Museum of Art, the WPA/Corcoran Museum, the Museo d'Arte Provincia di Nuoro in Sardegna, Italy, the Albany Symphony Orchestra, the Center for Photography at Woodstock, SIGGRAPH, ISEA, and Boston Cyberarts Festival. She is faculty in the Fiber Department at the Maryland Institute College of Art. Ernest Shaw was born and has lived most of his life in Baltimore, Maryland. Mr. Shaw comes from a family of artists, visual and performing. There never was an absence of influence or inspiration growing up as a youngster in west Baltimore. Ernest appreciates the support and encouragement of his parents especially recognizing the fact that its not easy raising an artist child. 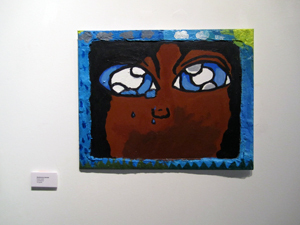 The artist's work defines the duality of the African American experience. 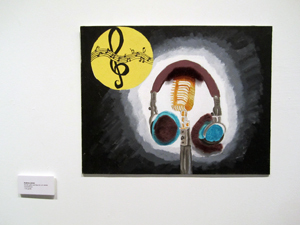 The artwork exhibits this dichotomy through an array of media and concepts. The most prevalent aspect of the artist's work is his use and understanding of color and the figure. 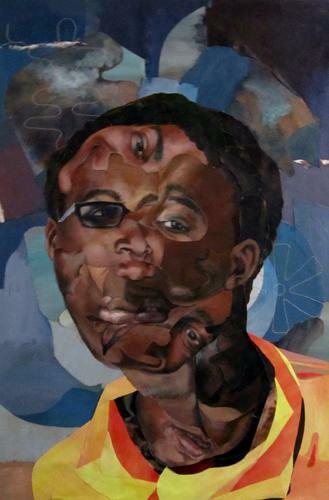 The figure in his work is a continuation of a rich history of African and African American figurative art. His use of color demonstrates a deep level of understanding of rhythm taught to him by several drum teachers. Christine Stiver is an artist and educator at ConneXions School for the Arts where she teaches Middle School general fine arts and High School Photography. She has been living and working in Baltimore for five years and has been able to experience the fascinating, beautiful and bizarre this city has to offer through her work in community organizing and art making. Students From ConneXions School for the Arts worked with Paula Phillips during the spring of 2013. 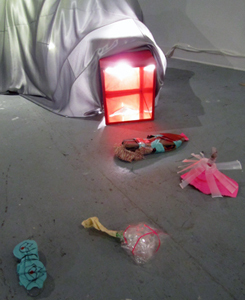 They created visual and performance work in response to her piece In Praise Of... These middle and high school students then worked with the curator and their instructors to select pieces for the exhibition. D Center Baltimore for hosting this exhibition, providing space, support and an amazing place for design. AND A HUGE THANK YOU TO ALL THOSE THAT BACKED THE KICKSTARTER TO FUND THIS EXHIBITION!